Hank Azaria, the actor who lends his voice to Apu Nahasapeemapetilon on the incredibly long-running animated series The Simpsons, has gone on record to state that the producers of the show will "definitely address" the controversy surrounding the South-Asian character. Comedian Hari Kondabolu raised many concerns regarding Apu in his documentary The Problem with Apu, which Azaria (and many other Simpsons creatives) recently became aware of. 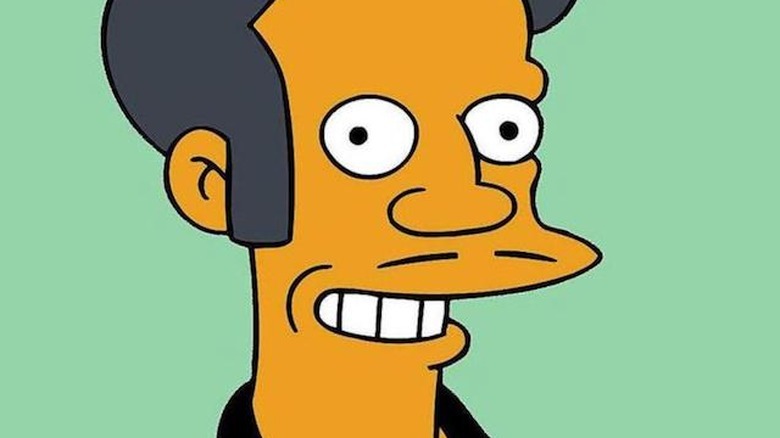 The doc claims that Apu, who runs a convenience store and speaks in a thick accent, preserves and perpetuates negative stereotypes about South-Asian people, particularly those of Indian descent. Addressing reporters at the Television Critics Association press tour on Friday (via Variety), Azaria explained the minds behind The Simpsons are already evaluating their options as to what to do with Apu in the future. "As far as what's going to happen with the character going forward, it's really not just up to me," said Azaria. "I know that The Simpsons guys are doing that too, they're giving it a lot of thought, and we've discussed a little bit. They will definitely address, maybe publicly, certainly creatively within the context of the show what they want to do, if anything, with the character." Azaria, who has voiced the character for almost three decades and nabbed three Emmy Awards for his performance, then stated notion that anyone would be made fun of or would be the target of hatred because of Apu is heartbreaking. "The idea that anybody, young or old, past or present, was bullied or teased or worse based on the character of Apu on The Simpsons, the voice, or any other tropes of the character is distressing," the actor said. "And especially in post-9/11 America, the idea that anybody was marginalized based on it or had a hard time was very upsetting to me personally and professionally." He added that his only intention in bringing Apu to life was, and still is, to "make people laugh and bring joy." Azaria admitted that it's "disturbing" to think about the fact that the character may have "caused any kind of pain or suffering in any way." And despite The Simpsons constantly riding the fine line between humor and indignity, the series has never channeled its jabs toward any one particularly belief system, ethnicity, race, or cultural group, Azaria said. "The Simpsons over the years has been pretty humorously offensive to all manner of people: Republicans, Brazilians, presidents, high school principals, school principals, Italians, you name it," he noted. "And they take a lot of pride over there in not apologizing for any of that. I think, over the years, they've done a really good job of being, shall we say, 'uniformly offensive' without being outright hurtful." Azaria's future with The Simpsons may be up in the air right now, but he has one upcoming project set in stone: season two of the comedy series Brockmire, which returns to IFC this spring.